As I’ve already completed my reading for the Classics Club I decided to get stuck into Back to the Classics Challenge 2017 which is run by Karen @Books and Chocolate (what a fab blog name). Have you read any of these ones? I’ve had most of these book waiting in a queue to be read for years now and this will encourage me to get around to them at last! 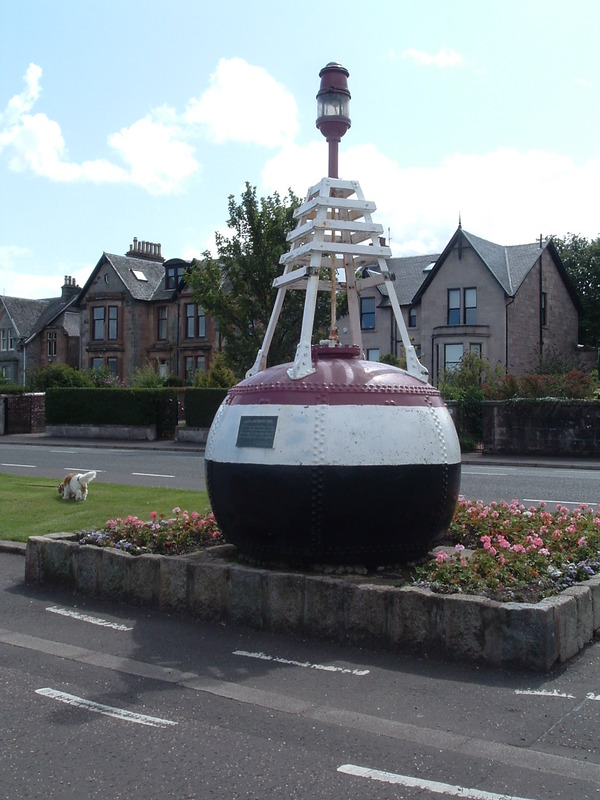 We really like Bridge of Allan, which is a very small town (or is it a large village?) in Stirlingshire, not far from Stirling. It has some lovely views and good hillwalking nearby and also the Stirling University Campus is there so it always seems to be a thriving community, with a nearby film theatre too. In fact we looked at a couple of houses there but decided against moving there, mainly because the house which we sort of liked had a very wee garden but worse than that it almost backed on to the only women’s prison in the whole of Scotland. The house was about 100 yards away from a huge perimeter fence. I would just have found that outlook too depressing, especially as I’ve been told that most of the inmates are suffering from mental problems and are on suicide watch. I think the estate agent was doing that thing beloved of such people, namely changing the location to something more salubrious, the house should really have been marketed under the place name Cornton. Anyway, it was when we were having a look around the town for the umpteenth time that I noticed this plaque on a wall just off the High Street. It says that Robert Louis Stevenson and his family often stayed there for holidays. I don’t blame them, it must have been a nice change from smoky Edinburgh, which at that time was often called Auld Reekie. Apparently Charles Dickens was also a regular visitor. I grew up in a town with two rivers in it, the Clyde and the Leven and for me a town has to have a good river and bridge to qualify as a ‘proper’ town. It usually means that it has been settled for donkey’s years, a place with a long history. 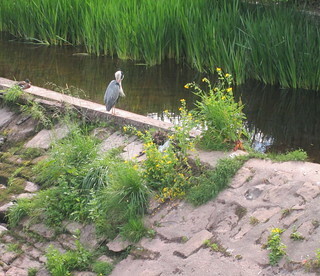 Bridge of Allan fits that bill too, and as you can see from the photo below it also has a resident heron which is often to be seen close to the bridge. It actually moved this time but it wasn’t fishing, just sorting out its feathers. If you want to see more images of Bridge of Allan, have a look here. To read more about the town’s history have a look here. 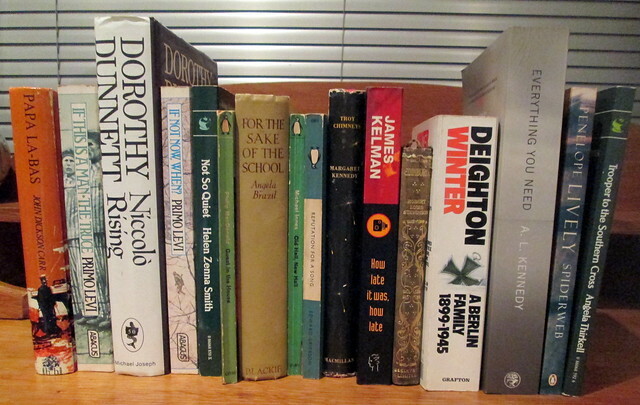 The Classics Club October question is: Why are you reading the classics? Before you start, I’m warning you this is a ramble and a half! There are lots of reasons why I read classic books. When I was about 9 or 10 I started reading classics which had been abridged for children and Charles and Mary Lamb’s Tales from Shakespeare. I really enjoyed reading books which were set in a more genteel time I think and it was about that time I tried my hand at embroidery, I think I fancied myself as a Victorian heroine! I soon moved on to reading the unabridged books like Jane Eyre and then everything by Jane Austen, and George Elliot’s Mill on the Floss was a favourite of mine when I was about 12. I think at the back of my mind I had a feeling that if a book was still being read and reprinted after so many years then it must mean that it’s a book worth reading. I do hate giving up on books which have been a disappointment to me, there’s less chance of that with a classic I think. I still have the very first classic book which I bought with my own money, and I can clearly remember buying it. My mum gave all of my books away when she was having a mad clear out, apparently I had grown out of them, I of course knew nothing about it until the deed was done. But my first purchase survived the pogrom because it was for adults. It is a small cream coloured book, published by Thomas Nelson and it’s Catriona by Robert Louis Stevenson. Apart from being a dinky wee book it was the title which made me buy it, vanity I suppose, or just curiosity because Catriona is the Gaelic spelling of my own name of course, and I wanted to know what this other Catriona/Katrina got up to. I had to wait though as I hadn’t looked inside the book where it says – sequel to Kidnapped. As I hadn’t read Kidnapped I had to find that one first. Both books are well worth reading and have a Scottish setting, which is something else which I enjoy. I know – how parochial of me! I’ll give you a flavour of that first classics book purchase. I bought it in John Menzies (pronounced Ming-is – it’s that yogh letter of the alphabet again) Stationers and Bookshop in Helensburgh, on the west coat of Scotland, north of Glasgow. Helensburgh is a town just about 7 miles north of where I was brought up and it was a favourite place to have a nice day out, a bit of a change of scene. It was a popular destination for day trippers, holidaymakers and at that time had the most millionaires living in it of any town in Scotland. It attracted successful football players and theatrical entertainers, showbiz types I suppose you could say. The actress Deborah Kerr was born there and John Logie Baird lived there and apparently started his experiments on the development of television there in the 1920s. But all that was of not very much interest to my mum, what she liked Helensburgh for was the American Navy! At the time they were based at the Holy Loch and possibly Faslane, on the Clyde. Yes, all the nice girls love a sailor – so they say, and my mum certainly did. She was always terribly disappointed if for some reason there were no US sailors in the town when we were there. I was always quite relieved because she would urge me in a stage whisper, which really more resembled a fog horn. Touch their stars for luck! She always got the attention of the sailors – I always just about died of embarrassment and of course refused to touch up any sailors. I’m sure my mum made it up – that it’s supposed to be lucky to touch the star on the bottom corner of a US sailor’s collar. Well I warned you it was going to be a ramble! But when I look at my copy of Catriona it reminds me of sailors and my somewhat eccentric mum. As it happens my dad had been a sailor when they got married, but then, it was during World War II and there were a lot of them about back then. If you look carefully you should be able to see my cream coloured copy of Catriona on the shelf below. I have these two books in a lovely Folio Society edition. I used to be a member but nowadays I tend to buy their books in second-hand shops. Again, they’re on my 2011 reading list. RLS is of course Robert Louis Stevenson but he tends to be shortened in Scotland. I read somewhere years ago that his middle name was pronounced Lewis – as he came from a very strict Presbyterian family which wouldn’t have had anything to do with French Catholic sounding names. It seems strange that they gave him such a name then. Anyway, RLS wrote quite a lot of travel books and these are two of them. The Amateur Emigrant is about his journey from the Broomielaw Docks on the River Clyde in Glasgow to New York in 1879, on his way to San Francisco to be with the American married woman that he had fallen for. The voyage was grim and RLS had always been sickly so it must have been even worse for him but his descriptions of the types of people who have decided to seek a better life in America is well worth reading and he makes a lot of observations about their personalities. I had imagined that emigrants would have been ‘go-getting’ types but RLS describes them as people who had failed to do well in their home country and predicted that they would fare no better in the new one because of their attitudes. It seems that work was as hard to come by in New York as it was in Scotland and although in my family uncles opted to go to Australia in the 1960s I have to say that life wasn’t any better for them there than it would have been if they had just stayed at home, and was probably even worse for their kids, jobs wise anyway. In The Silverado Squatters RLS is married to his beloved Fanny Osbourne who had managed to get a divorce. As you can imagine the Stevenson family were dead against Fanny who was years older than him and seems to have been ‘a bit of a gal’ but she made him happy. They spend their honeymoon near Calistoga in California in a wreck of a ‘house’ which had been inhabited by miners years before. It had no windows and holes in the roof so it’s just as well that the weather was good. I think RLS probably hoped that the dry heat would help with the consumption which he had suffered from for years. The place was infested with rattlesnakes which they didn’t realise were dangerous until the end of their month long stay there. I enjoyed this book but I think that it might be of even more interest to Americans who might have travelled to the places that he mentions. He met Californian wine makers in the Napa Valley and saw the fancy mock French labels which they put on their bottles because then they could get people to buy it. RLS was impressed with the wine but Californian wine was in its infancy then and I can remember fairly recently that wine snobs were very sniffy about ‘New World’ wine. ‘The smack of Californian earth shall linger on the palate of your grandson.’ RLS. He seems to have met quite a lot of Scotsmen around that area and they were always glad to hear another Scotsman and hear about the old country. They must have been homesick. The Silverado Squatters ended very abruptly though which I thought was a bit strange, almost as if he had had to pack quickly and never added any more to his writing after he left the place. I’ve had this Daniel Defoe book in my house for over 30 years and it’s one of those lovely wee dark blue leather bound books but luckily the print is quite good so it’s easy on the eyes. I’ve been avoiding reading it mainly because I’ve seen numerous TV adaptations but over the last couple of years I’ve been struck by how many authors have mentioned Robinson Crusoe in their own books, it must get the most name checks of any book surely. It was the detective in Wilkie Collins’s The Moonstone who was most keen on reading it though and he seemed to find everything he needed in Robinson C.
Anyway, first published in 1719 and as you would expect, the writing seems quite archaic at first but I got used to it and ended up quite enjoying it. Everybody knows the story probably, if Robinson had been a dutiful son he would have taken his father’s advice and lived a sedate middle-of-the-road life as his father had noticed that those were the happiest of people. Being young and looking for adventure Robinson sailed off looking for excitement and he found it. He eventually ends up being taken as a slave but after years of slavery he manages to escape on a ship only to be shipwrecked and ending up being the only survivor of it when he manages to reach a nearby island. Luckily he was able to swim back out to the ship and rescue lots of useful things to help him to survive – tools, some seeds, rum, sailcloth, guns and gunpowder – in fact he was fairly well stocked with the necessities of life. The island had a reasonable amount of edibles so I like to think that I could have managed as well as he did in the same circumstances. The only thing that he doesn’t have is human company although he does have a dog and some ship’s cats. Robert Louis Stevenson thinks that the part where Robinson finds a human footprint in the sand as one of the most unforgettable scenes in English literature. Even although he later discovered that the island was used as an occasional ‘picnic area’ for a tribe of cannibals it was the scenes involving wolves in snowy mountains when he gets back to Europe which I found to be the most scary. I did find the many descriptions of how he made pallisades around his cave a wee bit tedious but I’m glad that I’ve read it at last. Daniel Defoe was born plain Daniel Foe and he decided to stick the De on to it to make himself seem aristocratic, that’s always a sign of a ‘dodgy’ person. And indeed Defoe was actually an English spy who took up residence in Edinburgh and infiltrated Scottish society and became an adviser to committees of the Scottish Parliament and the Church of Scotland. The English government had given orders to make sure that Scotland joined itself to England, for one thing Scotland had a ‘great treasury of men’ which England wanted to use. Afterthe deed was done Defoe had the grace to admit that he had been wrong. He had apparently thought that Scotland would become more prosperous joined to England but of course the opposite was the outcome and poverty and unemployment became much worse. Defoe wrote Robinson Crusoe whilst he was living in Edinburgh and it’s thought that he got the idea from the true story of Alexander Selkirk from Lower Largo in Fife who had been marooned on the island of Juan Fernandez near Chile which has since had a change of name to Robinson Crusoe Island. As we were passing this house on the way to St. Giles on Saturday, I thought I would take a photograph of it. Thomas Stevenson built this house in 1803 at Baxter’s Place, at the bottom of Calton Hill in Edinburgh and just a stone’s throw away from Princes Street. 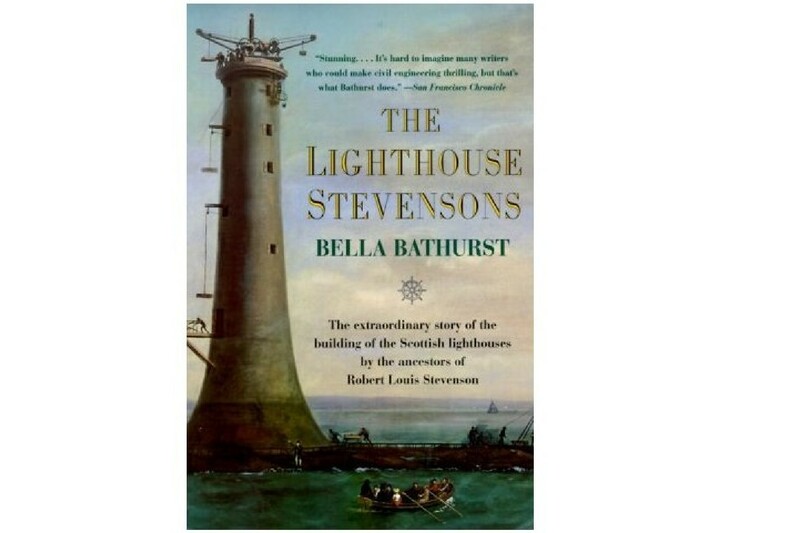 The Stevensons were famous as a family of engineers and lighthouse builders before the author Robert Louis was born into it. The building was used as a place of work with a separate flat for the family, so this is where R.L. was brought up and as you can see, the windows are boarded up. It has been like that for years and nothing seems to be being done to it. I can’t help thinking that Edinburgh Council has missed a great opportunity to turn this house into a Stevenson museum, as happens in other towns. We have museums all over the place which are attracting thousands of visitors, even when they are in out of the way places such as Haworth (Bronte) and Kirriemuir (J.M. Barrie). Even Paul McCartney’s childhood home has been turned into a museum. Unfortunately the top parts of the Georgian building have been sold off seperately and seem to be being lived in by people now, although there is a broken window, maybe squatters have moved in. So I think they’ve missed the chance to put it all back as it originally was. If the flats ever come up for sale they will be so expensive given the price of any property in Edinburgh but especially Georgian townhouses, the council would never pay out the money required. I can’t understand why the basement and first floor have been left vacant and unloved for years though. It’s a mystery. If you are at all interested in lighthouses then you should certainly read this book.I always quite fancied myself as a lighthouse keeper, it seemed such a quiet way of life, apart from the howling gales. However, I had never really given much thought to the logistics and difficulties of building them in such remote and inhospitable locations, as they inevitably are. 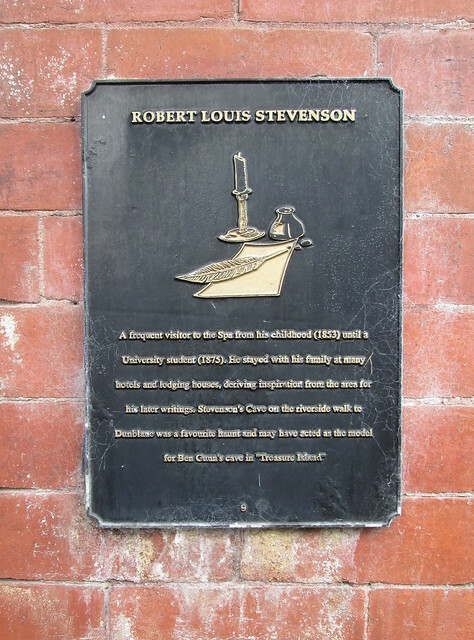 The Stevenson family is indeed that of the famous Robert Louis, who was an engineer himself before becoming a successful author. 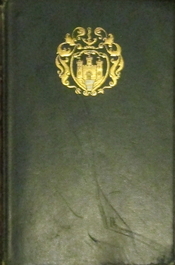 The Northern Lighthouse Trust was established in 1786 and this book tells of the difficulties encounterd in the construction of lighthouses and the techniques employed to overcome them. With plenty of Scottish history thrown in to the mix it all makes for a very interesting read. 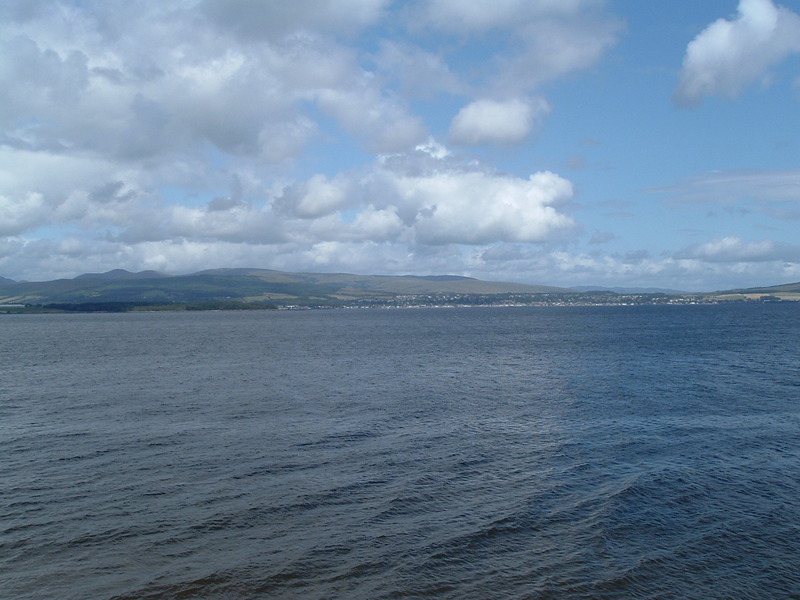 Earlier in the summer we took ourselves over to the west coast of Scotland for a desperately needed change of atmosphere, (it’s very different from the east coast) and for once we went over to the opposite side of the Clyde to Greenock, Gourock and then on to Largs. Greenock was a huge surprise to me as everyone is always ‘bad-mouthing’ the place but the bits that I saw looked really great. The esplanade is fantastic compared to what I have been used to in the way of esplanades.There are really lovely houses with just the most beautiful scenery to look out at. 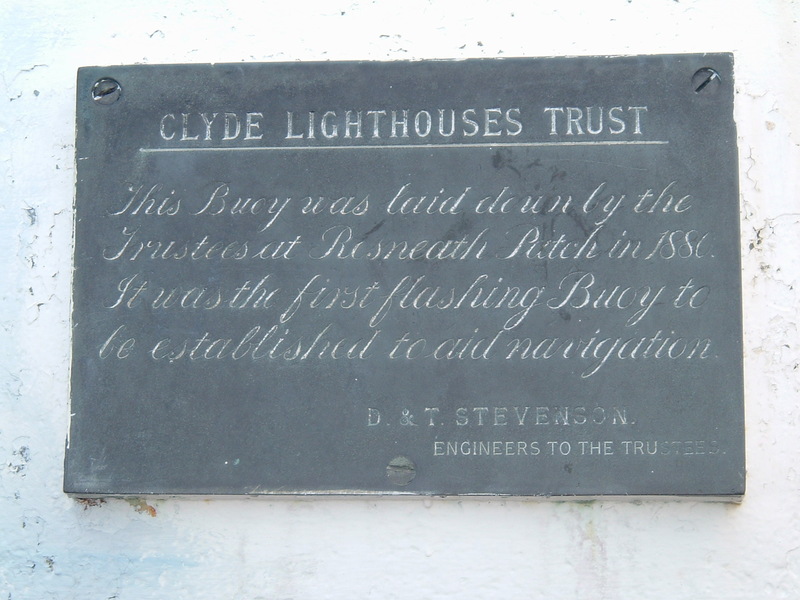 This was the first flashing buoy to be put on the river Clyde to aid navigation – by the Northern Lighthouse Trust. It now sits on the esplanade at Greenock.